Abby looks forward to meeting the family who just moved in next door—until she realizes they’re the one couple who could expose her deepest secrets. 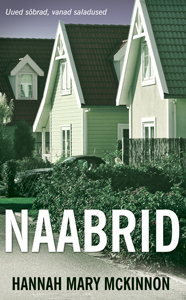 “Juicy, compulsive, twisty and truly surprising to the very last page, THE NEIGHBORS is a stellar debut. 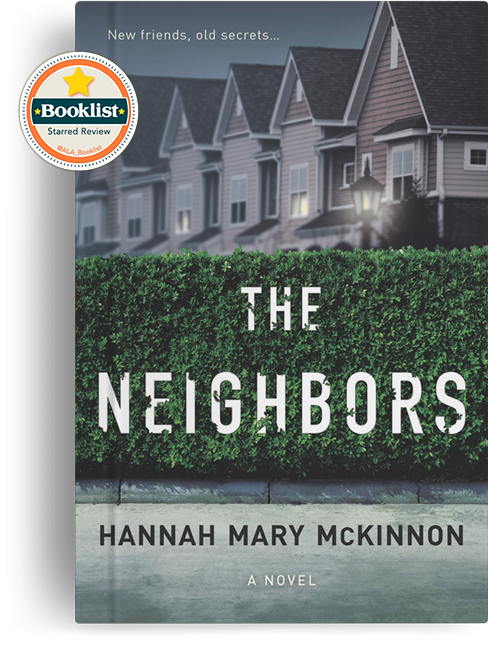 If you like Liane Moriarty, you’ll love Hannah Mary McKinnon, who delves into that deliciously sinister place known as Suburbia, where neighbors are friends, foes, and everything in between. A spring must read!” – Kate Moretti, NYT bestselling author of The Blackbird Season. 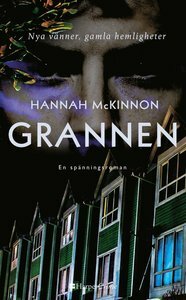 “THE NEIGHBORS pulled me in right away and had me turning the pages well past bedtime. I loved the rich characters and complex relationships, but best of all was the unexpected way in which all the characters stories became intertwined. The result is a heartbreakingly satisfying tale of love, loss, secrets, and family. Perfect for fans of Liane Moriarty and Mary Kubica.” – Jill Orr, author of the Riley Ellison mysteries.